Easter is fast approaching us. I just don't know where the time goes these days. Most of you are probably well into Spring which is wonderful. Now that Spring is here and Easter is coming I thought maybe you would like to get busy and make some Easter crafts. There are several Etsy shops that offer wonderful Easter tutorials. I thought I would show you a few here. 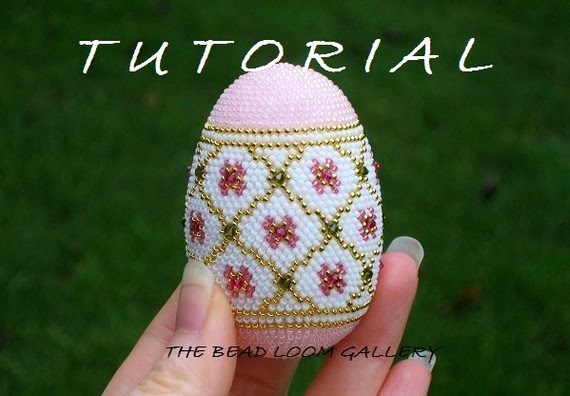 The Bead Loom Gallery has this beautiful beaded Easter egg. I just love the pretty pink and white colors. How pretty would this be for Easter! 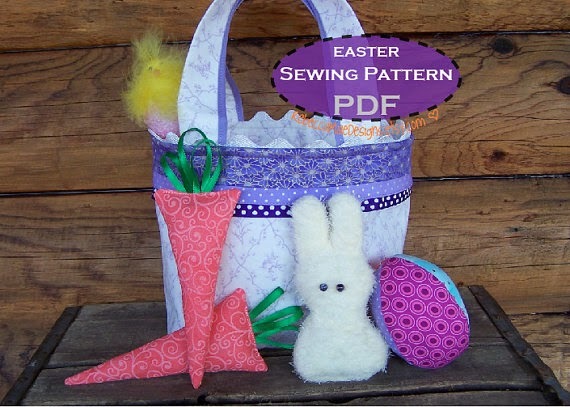 Rebecca Mae Designs shows all of you sewers out there that have that stash of fabric like me how to make this Easter basket. What a cute basket for that daughter or granddaughter on Easter morning. How pretty is this! 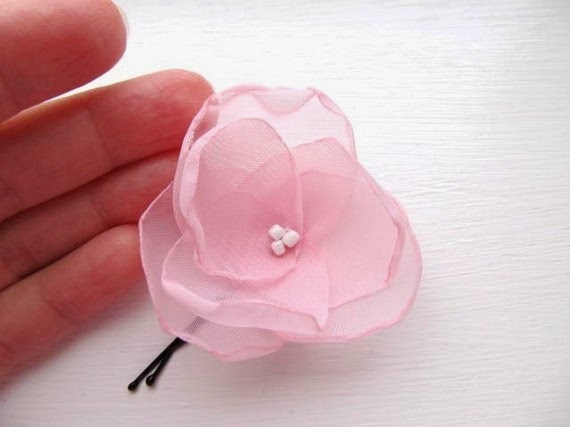 I can just see your daughter or granddaughter with this in her hair on Easter morning! MG Mart has the pattern for you to make this. Now we need something for the boys to help make.....these little finger puppets will do the trick. They will enjoy playing with them afterwards too. Victoria with Little Black Duck has the perfect pattern for these. 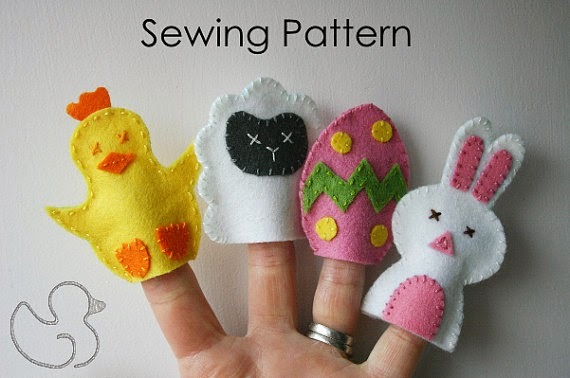 So lets get those creative fingers flying and make some Easter crafts. My kids and grandkids do not live near enough to me or I would be dragging them over here to make some of these great crafts!